The Cast-In-Place Stair has several different parameters for customizing it. 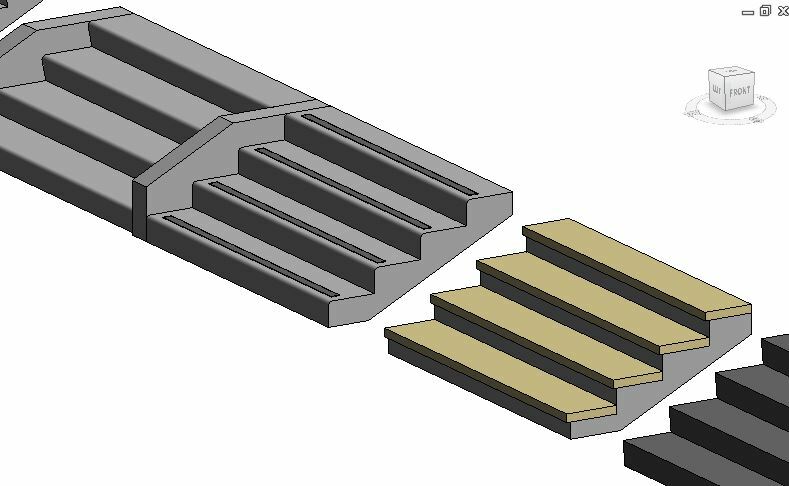 Depending on the stair, Nosing, Treads, and Supports can all be used in various combinations. Located under Run Type (within the Monolithic Run family), Nosing can be tricky to get right, as it requires the use and modification of a sometimes glitchy Profile. 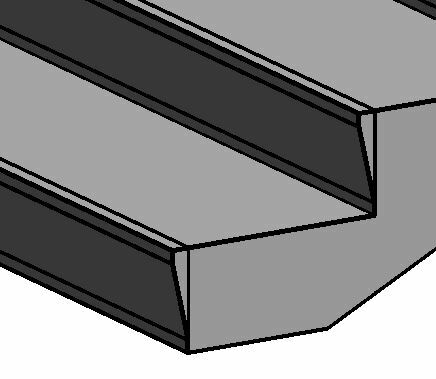 The Stair Nosing – Pan profile is the only Stair Nosing Profile that Revit provides. To edit it, locate it in the Project Browser (under Families, Profiles) and right click on the family. This is how you modify loadable families that are part of System families. The Profile family will then open. By default, the Annotations are usually turned off, but I usually turn them back on to see what is going on. Also, do not have the Profile applied to the Stair before you have finished editing and loading it into the Project, since the Profile will not update once applied to the Stair. It seems that Stairs, and especially Nosings are a bit glitchy. Like Nosing, the Treads are part of the Run Type. They are relatively easy to figure out, with a Thickness, Profile, and Material. Risers are are quite similar, if have the need to entirely clad your stair in a different material. Frequently exterior concrete stairs will have a no-slip tread that does not cover the entire tread face. 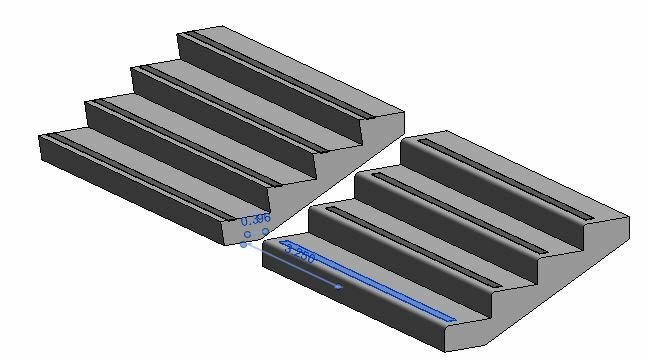 The Stair Tread could be used to create a no-slip tread, but it will cover the entire width of the stair and requires some finagling with the Stair height, since the Tread Height effects the overall Stair Height (shown on left). Another option would be to use a loadable family hosted to the step face (but not a face-based family). Then the tread could be held away from the sides (shown on right, above). This option seems to work quite well, since families that are hosted to faces will stick even if the family is moved. The initial Supports parameters are directly within the Stairs Type Properties, but they also have nested parameters under Support Type once the Support has been chosen. If done correctly, a Stringer can look like a Stair Grade Beam, or short Side Wall. But since it is a stringer, it has limited graphical options. Once created, you can modify it slightly by using Tab to select it. There are 3 options for adjusting how its Ends Cut and Trim. And if that still doesn’t work, you can always use a Wall or Model-In-Place instead. Also, these Stair Families can be downloaded in the next post [Custom Shapes and Types]. I’ve used a similar trick for recessed non-slip nosings too. In the solution I found (online somewhere) the nosing is actually a railing family, and each strip is a baluster. It works really well and you don’t have to place each nosing. A railing, using a baluster, huh, that is interesting. Could you send me one? I’d like to see that. I’ll be doing some railing posts eventually, so I’ll have to include that.